The good news about the flu: The number of cases in the U.S. are starting to decline for the first time, according to the latest report from the Centers for Disease Control and Prevention (CDC). The not-good news about the flu: Flu season still has weeks to go and the virus continues to strike many regions hard—why it's important to safeguard our children and ourselves as best we can. It's not too late to vaccinate: that's the message from the CDC and I Vaccinate, the campaign sponsoring this post that aims to educate the public. Flu vaccines have been updated to better match circulating viruses, reports the CDC. Adults and children who vaccinate are likely to have a less severe form of the flu, and are less likely to die from it. Children with neurological and neurodevelopmental disorders, including cerebral palsy, epilepsy, and moderate to severe developmental delays, are at higher risk for flu complications, one key reason Max always gets one. 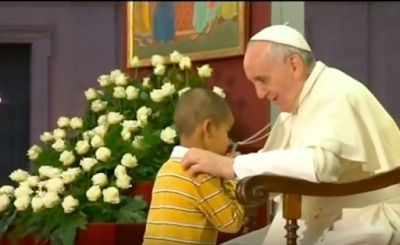 For him, spiking a fever increases the chance of seizures. "Things that get handled frequently at home and shared among family members are most likely to carry the virus," says Adams. For that reason, she recommends every day wiping down door knobs, fridge handles, kitchen drawer knobs and handles, bathroom handles, TV remotes and game controls, iPads, computer keyboards, and cell phones. This is the kind of fun I have after the kids are in bed! (OK, it only takes five minutes.) When you're at the supermarket, use the wipes to swipe the shopping cart handle. Avoid touching as many surfaces as you can in public, Adam says. It's why I use a knuckle to press elevator buttons (it's less likely to spread germs than a finger). Change your linens more than usual. Change bath towels—or at the very least, hand towels—daily and bed sheets weekly. If you or one of the kids gets sick, replace that toothbrush. Wash hands a whole lot. "Handwashing is critical!" says Adams. "Having a little nail brush by the sink is helpful as well. I teach children to sing 'Happy Birthday to Me' while they wash their hands to assure they've taken enough time to get their hands clean." Adults can do this too, I just don't recommend singing it out loud in the office bathroom. Use warm water and lots of friction. Hands should be scrubbed for at least 20 seconds, according to the CDC. "Fun, foamy soaps can encourage hand washing, and are typically less germy than bar soap," says Adams. "Hand sanitizer is good when you are out and about and handwashing facilities are not available, or before eating if you can't wash up," says Adams. If sanitizer you use contains alcohol, you only need a pea-size amount. Rub onto a child's hands until completely dry, being sure to get in between their fingers. "Do not use sweet-smelling or fragrant hand sanitizer because your child will be tempted to lick their hands," notes Adams. At home and on the road, keep alcohol-based sanitizer out of the reach of children; if you think your child has swallowed any, call poison control. Try to be generally healthy. You know the drill: Well-balanced meals, plenty of Vitamin C, veggies and water. Exercise, sunshine and fresh air help, too. "Don't buy into the myth that going outside will make you sick," says Adamas. "Flu virus spreads in warm, close quarter in the air, when others cough or sneeze them out. Exercising helps to balance our need for rest, which helps adults and children sleep better—and help our immune system defend against illness." Wishing you and your family good health and NO FLU. This post is sponsored by I Vaccinate. My dream of independence for Max contains many dreams—that someday, he'll dress himself, prepare meals for himself, make plans for himself, get himself places. The list goes on. Whatever level of independence he achieves, I'll be grateful for, I know. Yet as Max has gotten older, I've had a new independence dream for him: one about him owning his disability and standing up for his rights as a person with disabilities (PWD). Yesterday, Time posted an excellent article by Abigail Abrams on the momentum the disability rights movement has been gaining, in part sparked by attempts to repeal the Affordable Care Act; it included cuts to Medicaid, the main health insurer for children and adults with disabilities. 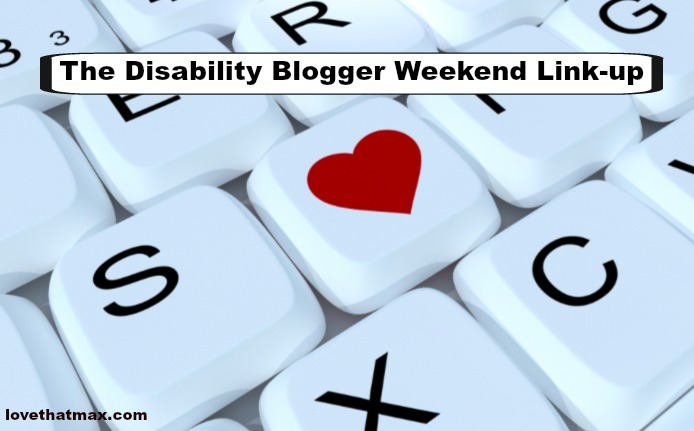 Disability activism has certainly been around, but there's new urgency. As longtime disability activist Anita Cameron said, "It's far more intense. We really feel our lives are at stake." People in the disability community around the country staged protests in the face of the potential repeal of the ACA. Some 45,000 people with disability attended the Women's March on Washington last year—making it, the article notes, the largest gathering of disabled people in U.S. history. Since 2016, the #CripTheVote campaign started by activists Andrew Pulrang, Alice Wong and Gregg Beratan has encouraged PWD to get politically involved. 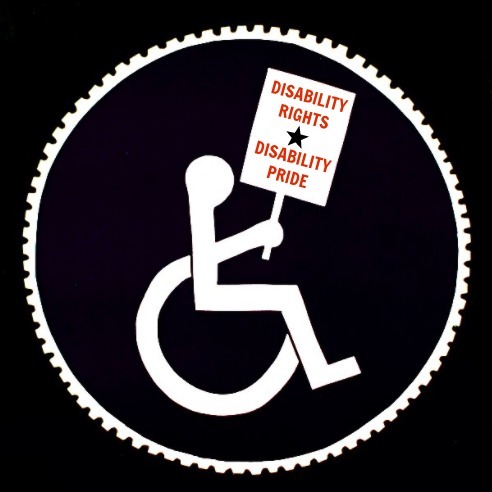 The larger chapters of the disability-rights organization ADAPT have seen surges in membership. I have no idea how Max might someday pave the way for himself or, as the case may be, other people with disabilities. I do know that he's good at making his needs and opinions known (insert parental eye roll here), traits that are key for advocacy. Should a program refuse to let Max join, say, I'd like for him to take them to task. While part of me would like to forever shield my boy from the stigma, prejudice and exclusion that exists, I realize that I won't always be here to fight for him—and that learning to recognize when he's been wronged and fight for himself will be a tremendous asset. Becoming a self-advocate role means taking pride in who you are, another focus for the disability community. They'd like people to see their disabilities as key to their identities as race, ethnicity and sexual orientation are. While I'm not exactly sure how to raise an advocate, I do my best to boost Max's confidence and self-worth, same as with my other children. I praise his abilities. When he gets frustrated by his challenges, I acknowledge how he feels, applaud his work-arounds, make suggestions and figure out adaptive solutions. We have ongoing discussion about what it means to have cerebral palsy. I talk about his dreams for the future, and how he might be able to achieve them. 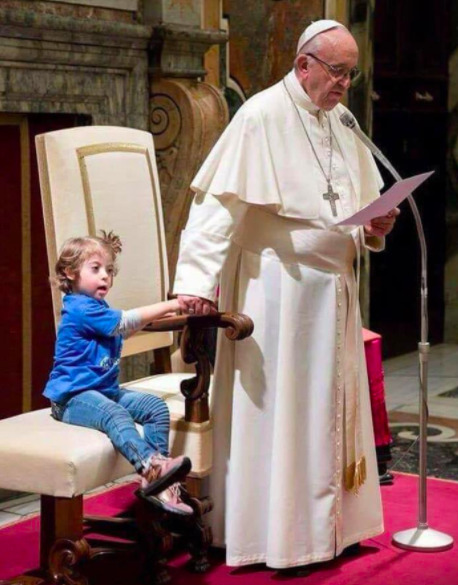 I hope to connect him with adults with disabilities he can hang with, so they can serve as role models. When Max was little, I was laser-focused on getting him to do stuff—take a step, pick up a ball, grasp a spoon, say a sound. The truth is, there will always be everyday things that my boy won't be able to easily do or do at all, because his muscles won't bend to his will. That's why there's one development that's just as important to coax along as the physical kind: the progression of his disability pride. A couple of years ago around this time, I was told by a speech therapist I respected that she didn't see a point in continuing to work with Max on his articulation. She felt that a communication device would serve as his primary means of communication, and noted that he hadn't improved that much in the years he'd gotten therapy at school. I was crushed, but refused to accept it. I pressed for some focus on articulation to continue at school, and it did. 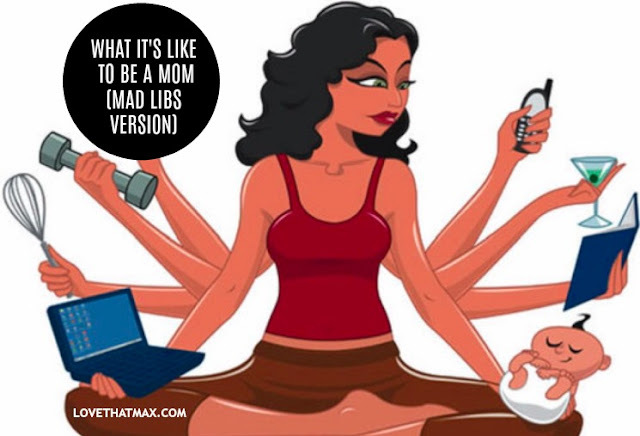 At home, Max's longtime speech therapist has always focused on articulation. And his enunciation and intelligibility continue to evolve. While people still often don't easily understand what he is saying, there are those who have an easier time of it—we joke that they "speak Max." I am not always certain of everything he says, but I've found it easier to understand. Saturday, the speech therapist came over for her usual morning session. Max wanted to tell her about his impromptu trip to Disney World last weekend with Dave (courtesy of cheap airfare and an Orlando friend who got them park tickets). "Where'd you stay?" she asked. "Holiday Inn!" Max answered. I, of course, knew what he was saying and thought it sounded pretty close, but she didn't get it. He repeated himself a couple of times, until finally she did. When Max was little, I felt constantly anxious about his speech delays. Well, about all of his delays. That feeling ebbed as the years passed, replaced with acceptance and gratitude for the various forms of communication he has. I couldn't have known back then that the progress would never stop, and it hasn't. After the speech therapy session, Max's pronunciation of "Holiday Inn" was less clear again. I couldn't quite get him to say it as clearly as he had with the therapist, as is often the case. But the potential is so there, as I was reminded on Saturday. Holiday Inn for the win. I woke up yesterday with that funny feeling in your throat that says, "This isn't bad now but just you wait." Soon after Ben—who'd crashed in our bed—got up, then decided to sit on my head, which definitely didn't help. Also: this was around 4:30 a.m.
On the train to work, I turned Facebook. "OK, Dr. Hivemind, help me out: What do you do when you feel like you're on the verge of getting sick? Throat feeling a bit sore, so far it's my only symptom. Drink more tea? Wha?" "There is a Republic of Tea variety called Get Moving, which claims to be a metabolism booster. I use it to flush out my system when I feel a cold coming." "Zinc and Lysine...and take EmergenC." "Manuka honey. And green tea. Lots of both. But not the honey in the tea—separate teaspoons every few hours." 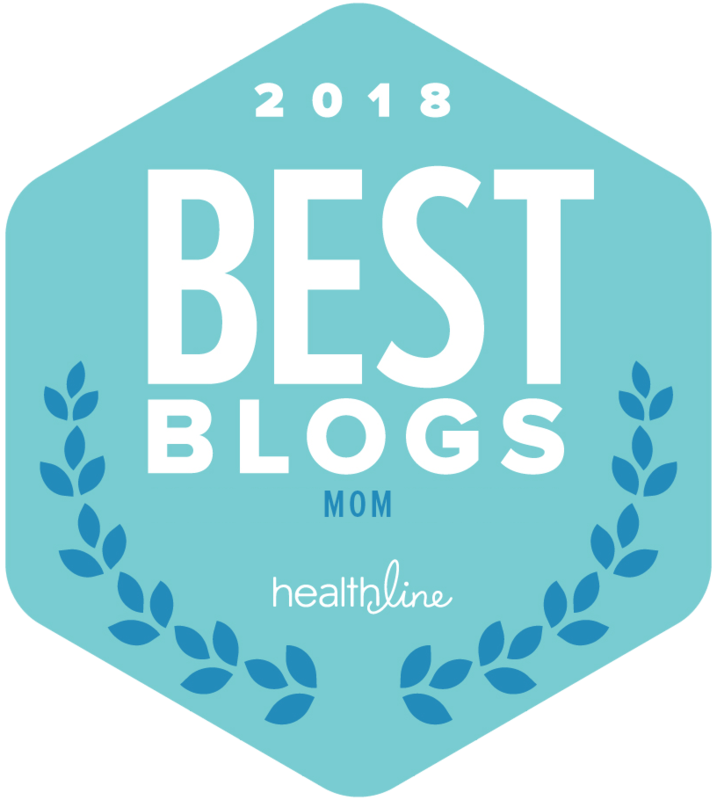 "Zicam—I think the nasal swabs, which are now safe, are the best), Sambucol, and 1000 mg of Vitamin C every few hours." "Gargle with apple cider vinegar (dilute with a little hot water). It is awful but really helps." "Same deal with a salt/warm water gargle." "And gargle with oil of oregano." "I make a concoction of steaming a cored and slightly hallowed out Asian pear with honey and fresh ginger, the liquid is yummy and soothing and the pair is a delicious treat." "All of the above but YOU MUST SLEEP. 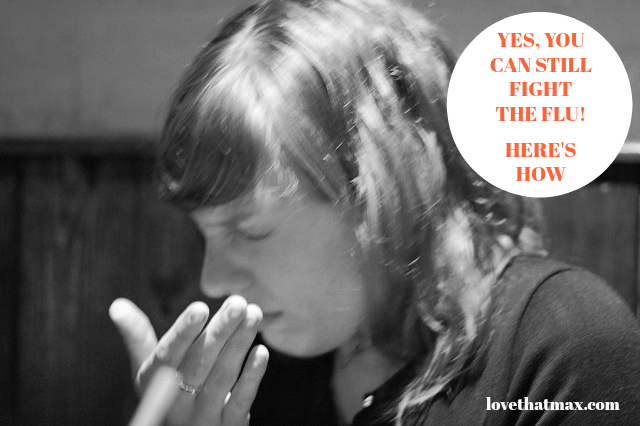 It takes an enormous amount of energy to fight off a virus of any kind (even just a cold). "I drink lots of water. Works sometimes. No idea why." "I like eating animal crackers until I feel better. A side of hot chocolate is good, too." "Airborne, 2-3 times a day." "Zinc tablets. Every three hours or so, just when symptoms emerge. Don't chew them, let them dissolve." "Eat a bunch of oranges! Vitamin C kicks that sh*t."
"Extra sleep, sunshine, lot of liquids." "Get some elderberry syrup and start drinking it three times a day. Or start taking Yin Chao." "1. Oscillococcinum. 2. Saline spray, rinses mucous membranes, keeps them hydrated. 3. Lots of fluids. 4. Elderberry syrup. 5. Hot bath before a nap." "Sleep!!!!!! At all costs. And eat hot Thai soup." "Drink, drink, drink everything, and then take something to knock you out so you have a nice hard sleep. It's the only time I drink Gatorade. Literally vats of Gatorade. It works for me." "I take an Advil with a glass of red wine. Throat usually fine the next day." "I did a teaspoon of apple cider vinegar in water twice a day for my sore throat last week. Helped a lot." "I make sure I'm drinking enough water and take lots of naps, and I start downing Zicam Ultra tablets. Can't even remember the last time I actually got a gold. I get the first-day starting stuff and then I'm done." "Wellness formula 4x4. Thieves Oil rubbed on the bottoms of your feet (works for kids, too!)." "Cut up a garlic clove and swallow small pieces with water. Do daily." "D3 (5K IUs every day), Vitamin C (3x per day) and echinacea 2 capsules 3x daily. Works like a charm every single time. Was exposed to the flu in an ER for over seven hours, started with a scratchy throat and headache, did my trifecta above and boom...no more symptoms and good to go!" "Zinc lozenges every few hours in the first couple of days. Don't always work for me, but research says it can help. Also: Oregono oil drops. And sleep. Chicken soup is also good because it's supposed to minimize symptoms if you do end up getting sick." "I always pop a Cold-eze. (With food.)" "Cold Snap 2 capsules 5-6x per day." "The Medicine Ball at Starbucks, so good and soothing. Steamed lemonade, water, honey and two types of tea, mint and peach I think." Wow. 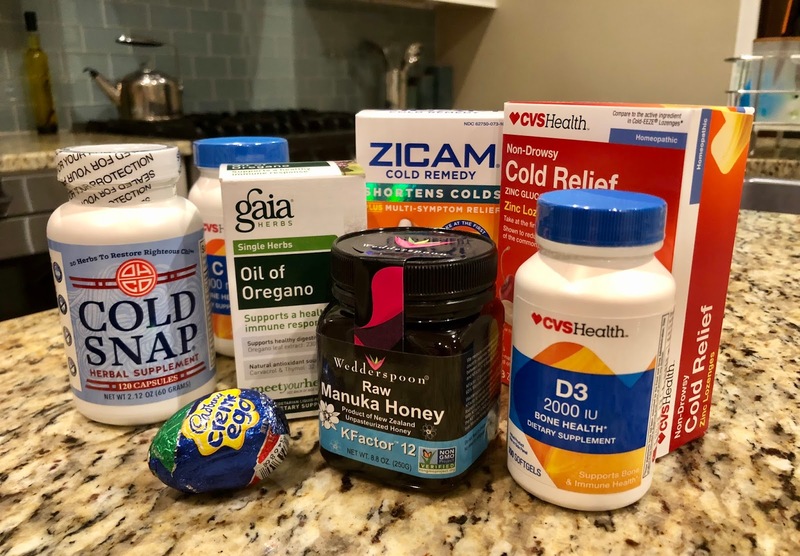 Cold-prevention-palooza! I'd heard of some of these. Airborne works for lots of people, but not me. Zicam sounded promising. A Starbucks secret feel-good drink? Exciting. More sleep? Yes, definitely! Er, maybe? I know, I know. Elderberry syrup: had to google. Cloves of garlic: I think I'd have to be fed those while I slept. Red wine: BRING IT. Of course, I got caught up in work and didn't try a single one of them. Self-care: not one of my strong suits. Back at home, I got Ben to sleep, trying hard not to breathe on him, made myself a shopping list and ran over to Whole Foods. My game plan: hit as many body parts as I could. I got Cold Snap pills. I picked up the oregano oil for my throat. And, whoa, $50 for a jar of honey?! Just, no. I found one for half the price. Then, of course, I wondered if bargain Manuka was as anti-inflammator and antiseptic. I hadn't worn my jacket because it was a freak 70 degrees yesterday, and as I emerged from the store it was blustery and I started shivering. In my head, I could hear my mom saying, "This is the type of weather that makes you sick!" Joy. I headed over to CVS. Lozenges! Vitamin C! Vitamin D! Zicam swabs! A Cadbury Creme Egg! Not yet scientifically proven to fight colds, but anecdotal evidence of their soothing powers is strong. Back at home, I laid out my stash, then had it at like a meds junkie. As I heated up water for green tea I popped the pills and vitamins. I swabbed my nose while sucking on a lozenge. I made the tea and dropped in a lozenge for good measure. I opened the box of oregano oil only to discover they were pills, so I cracked one open into a cup of warm water and sloshed the flakes around and it smelled like pizza. Until I went to sleep, my lips tingled. I crashed at 11:00, an hour improvement on my midnight bedtime. Finally, I'd taken care of myself, with a vengeance. This morning started off well. Ben woke me up at 6:00 a.m. I had no sore throat, just some sniffles. WIN! I had another meds party (minus the Cadbury Creme Egg), then packed a goodie bag for work. I'm going to treat myself to a Medicine Ball at Starbucks this morning, then hit the local juice store at lunch for some hot juice concoction a colleague recommended. I'm also picking up elderberry syrup and doing shots at my desk; Googling revealed it packs antioxidants and Vitamin C.
So grateful for my hivemind, just as good as Urgent Care this time around. And Cadbury Creme Eggs. I've joked here before about being thrilled when Max acts in a so-called "age appropriate" way. "Age-appropriate" doesn't really apply when you have a child with disabilities, and you mostly stop caring about milestones and all the typical stuff. But human nature is human nature, and when Max acts like a clichéd teen it's exciting—even if he's getting on my case or being obnoxious, as teens excel at. Like that time when he got annoyed at me for reminding him about something. Or when he recently left me off a Valentine's message because, as it turns out, his plans to move to Jamaica do not include me. This weekend, I was the proud beneficiary of extreme teen behavior. "I hate you!" Max proclaimed. There wasn't even a definitive reason. I wasn't forcing him to do homework. I wasn't commenting on his outfit. I wasn't commanding him to tear himself away from his iPad. He was just hanging out on the driveway with Dave, and I'd popped my head out the door to say hi. When I heard his response, I wasn't sure I understood him correctly. Oh, yes: "I hate you." "That's not nice," Dave said. "Mommy loves you!" So then Max walked over and gave me a big smile. Because he knew he was being obnoxious and he was clearly taking great pride in his ability to do so. Latent in my feelings about all of this is the gratitude that Max can talk and communicate and tell me such things; that he has the cognitive awareness to do it in the first place; and that he has a sense of humor about it all. So maybe I am the first mom in the history of moms to be happy to hear the words "I hate you!" from her teen, but when you've been through the wringer about your child's future, even the bad behavior can be a milestone. Who knows what other scores lie ahead: Could Max master the eye roll? Learn to do more stuff by himself because he doesn't need me to? Figure out how to shampoo his own hair, uncap the toothpaste, and dress and undress himself—then leave the empty bottle lying around the shower and the toothpaste uncapped and his clothes strewn around his room? Learn to text me with urgent requests such as "I neeeeeeeeeed a new pair of sneakers pleeeeeeeeease and I like this pair and they are only $120!" like one of his siblings who shall remain nameless? I'm pretty sure this is going to get old, fast. But for now: He hates me. He has teen bona fides. And that's a pretty cool thing. The nightmare started as I'd guess many parents' do: a faceless gunman was stalking the halls of my son's school, hovering outside the locked doors of classrooms. He got to the Max's and started spraying bullets through the glass window. Max, in a corner with his classmates, screamed. He did not understand what was going on. Then I woke up. Max's school, like most any in America these days, has safety procedures in place should a mass murderer show up at the door. But unlike other high schools, the students in Max's school are more defenseless than their peers. Max, for one, would not be able to crouch down and hide in a space because of his balance challenges. During the shooting at Marjory Stoneman Douglas High School, a girl told a friend to hold a book in front of her face. When I heard that I thought, Max would not be able to do that because of his challenges with holding stuff. My nightmare was parents' real-life one in this country last week. In the end, teens of all abilities at the Parkland, Florida high school were defenseless in the face of a man bearing an AR-15 rifle—similar to the military-like kind used at Sandy Hook Elementary School in 2012. As people sent prayers, students at the Parkland high school and their families have spoken out to say prayers and good thoughts are not enough, and have made widespread pleas for gun control. "I do care that our Congress and our President outlaw these technologically sophisticated tools of murder just like every other civilized country on this planet," wrote Abbie Guttenberg Youkilis, whose 14-year-old niece, Jaime, died in Parkland, in a Facebook message to the country. "Failure to act will make our politicians complicit in Jaime's murder." I joined Moms Demand Action For Gun Sense in America last week after a friend posted a link on Facebook. Started in response to Sandy Hook, it demands action from state and federal legislators, companies and institutions to establish common-sense gun reforms. It supports the 2nd Amendment, but also practical solutions. Through the group, which has chapters in all 50 states, you can connect with other parents in the community, find local events and get involved on national and local levels. On March 24, families will be marching in the streets of Washington, DC, and in their own communities to demand an end to gun violence, through March For Our Lives—an effort spearheaded by teens from the Parkland high school. There's been a lot of talk that mental illness is a key underlying problem with mass shooters. Obviously, you can't walk into a school toting a highly deadly weapon, kill people and be in a sane state of mind. Mass murderers may be paranoid, narcissistic or resentful and hell bent on avenging a wrong. Still, the majority have no defined prior history of mental illness. "It is important to remember that only a very small percentage of violent acts are committed by people who are diagnosed with, or in treatment for, mental illness," American Psychological Association president Jessica Henderson Daniel said in a statement. "Framing the conversation about gun violence in the context of mental illness does a disservice both to the victims of violence and unfairly stigmatizes the many others with mental illness." Mass killers may hope to gain attention from their crimes. In fact, research has shown that school shootings and mass killings involving firearms are often triggered by similar recent events. After the Aurora, Colorado shooting, parents Tom and Caren Teves started No Notoriety, a nonprofit that challenges the media to limit the name and likeness of individuals already in police custody, among other measures of responsible coverage. As individuals, we can also refrain from naming these shooters in social media. Tell children to speak up. "If you see something, say something"—the national campaign started by Homeland Security—applies to students too. In the course of discussing school safety with our children, we can remind them that if they hear students making threats about gun violence or see troublesome photos on social media posted by a peer, they should tell us or another responsible adult. Teach children to be kind to all kids. Four years ago, Glennon Doyle at Momastery wrote about one of her son's teachers, who every week asked the students in her class to write down the names of four kids with whom they'd like to sit with the following week. After the kids had left, this teacher would study the slips of paper to see which kids were getting left out. She was identifying, Glennon wrote, "the littlest ones who are falling through the cracks of the class's social life." When had this teacher started doing that? After Columbine. This shouldn't solely be teachers' responsibility—they have enough on their shoulders. Encouraging our children to make connections with peers who are left out or on the fringes—to speak to them at the playground or in the cafeteria, invite them to the birthday party, ask them to join the club—could make a difference in ways we can't even imagine. 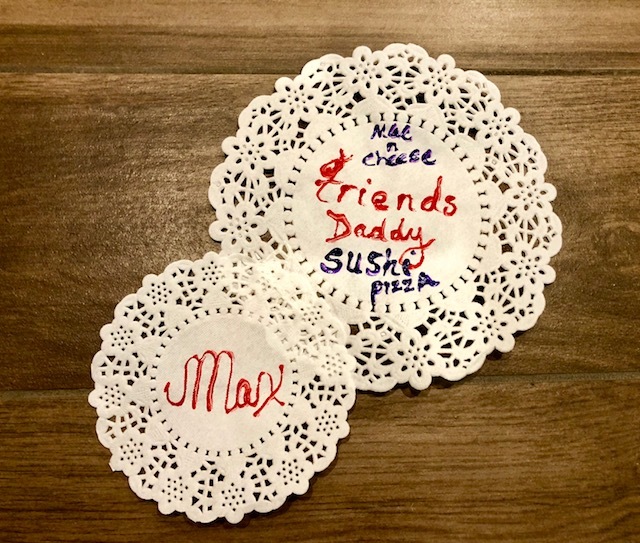 Yesterday, Max came home from school with this lovely doily. I found it in his backpack after he'd gone to sleep. No, let me correct that. I did not make it onto the list at all, although it would have been challenging to squeeze me in beneath "pizza." I am not surprised that three out of five items are foods, because Max loves to eat. Loooooves. Granted, fire trucks and Jamaica did not make it onto the list, either. So I am in good company. Maybe it is teen boy-ish to be above declaring your love for your mom? On a doily? When he woke up this morning, I asked what was up with the doily. He explained it's because of his upcoming move to Jamaica with Dave and Ben. As in, he is preemptively distancing himself from me. Last weekend, I got a notice about a new change.org petition. Cynthia DeStefano, who has a daughter with disabilities was asking Costco to get Caroline's Cart, a modified shopping cart that comfortably fits and supports those with disabilities up to 250 pounds. The cart was invented by two parents whose daughter, Caroline, has special needs. "Taking Gia out with me means so much," writes Cynthia on her petition. "When stores make that easier, it means I never have to exclude her. Something as simple as these modified carts makes a world of difference to special needs families." She noted, too, that Costco's adoption of these carts would encourage more big-box stores to do the same. 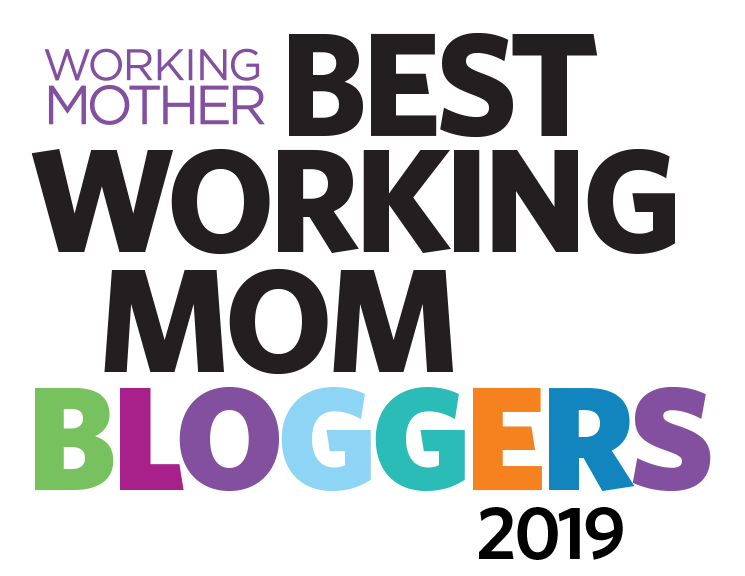 1) I am continuously amazed by the power of the web and the power of parents to make life better for our children. 2) Why does it always has to be parents of children with disabilities and adults with disabilities asking for change? I mean, shouldn't it be stores' jobs to ensure that customers of all abilities can comfortably shop there? This is not feasible when you're trying to simultaneously wheel a shopping cart and a child's wheelchair. 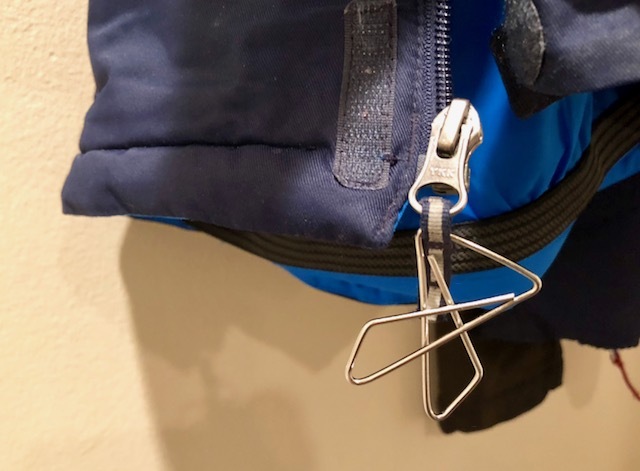 Or you're forced to prop up your child in the cart's with winter jackets to support him, as we used to have to do with Max when he was a tot and his core wasn't yet strong enough for him to sit independently. Thanks to the explosion of social media over the last several years, parents have been speaking out about getting programs, play spaces, dance programs, after-school activities, you name it to include our children—at times, shaming them into it. (I'll never forget this story about a gym that wouldn't host a birthday party for a little boy with Down syndrome.) Obviously, this has been good for our kids. At the same time, it makes me hyper-aware of having to always push, push, push for our children's rights to participate in activities, enjoy the same fundamental joys of childhood as their peers without disabilities, and basically live their lives. On occasion, it's easy, like that time the head of a local dance school unhesitatingly welcomed Max for tap lessons (he's since moved on). When we don't face barriers, when people instantly say "Sure!" to our children, it's always a wonder. 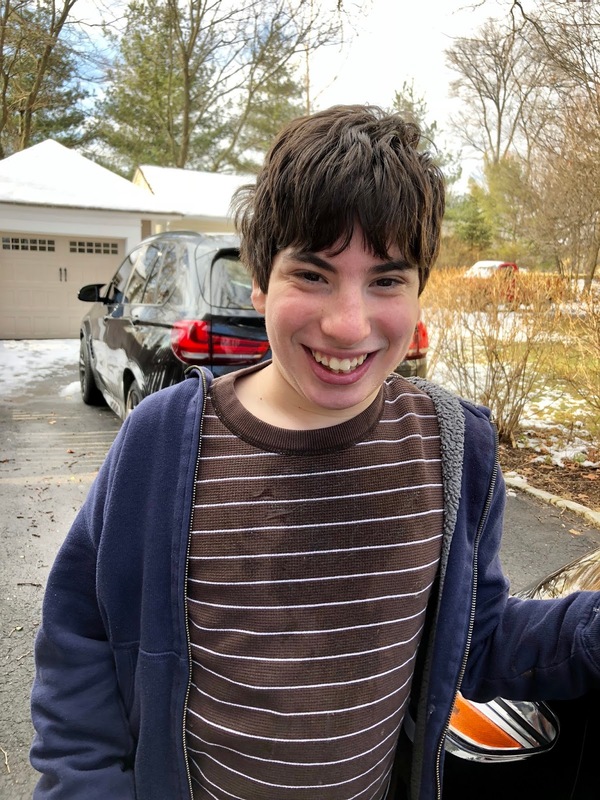 Because often, we're dealing with exclusion; over the years, Max has been turned away from camp, programs and even a school where they could not—or would not—accommodate him. As I write this, Cynthia's petition surpassed its original 75,000-signature goal, and was nearing 150,000. 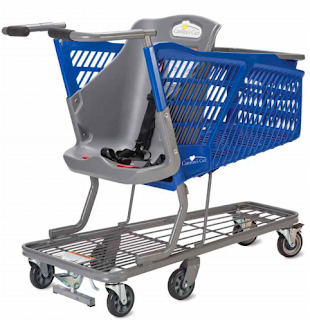 My money's on Costco getting these carts; they are a pretty conscientious company (Canadian Costco has a multi-year accessibility plan posted online), and I'm betting this situation just never occurred to them. It seems like they and other companies would do well to have a designated disability task force if they don't already have one, including people with disabilities. It would also benefit them to hold focus groups with parents of children with disabilities and people with disabilities, too. As parents of children with disabilities, we're here to advocate for sons and daughters who can't yet do that for themselves, and to raise awareness for a minority that many people aren't mindful of unless they have a disabled family member or friend. And so, we will keep right on knocking on doors, knocking down doors, shattering barriers and leaping over tall buildings in a single bound. I will do anything possible to make this world better for my boy, just as Cynthia is doing for her daughter, just as so many parents do for their children. But how great would it be if others laid out welcome mats for our children instead of us regularly having to ask for them. 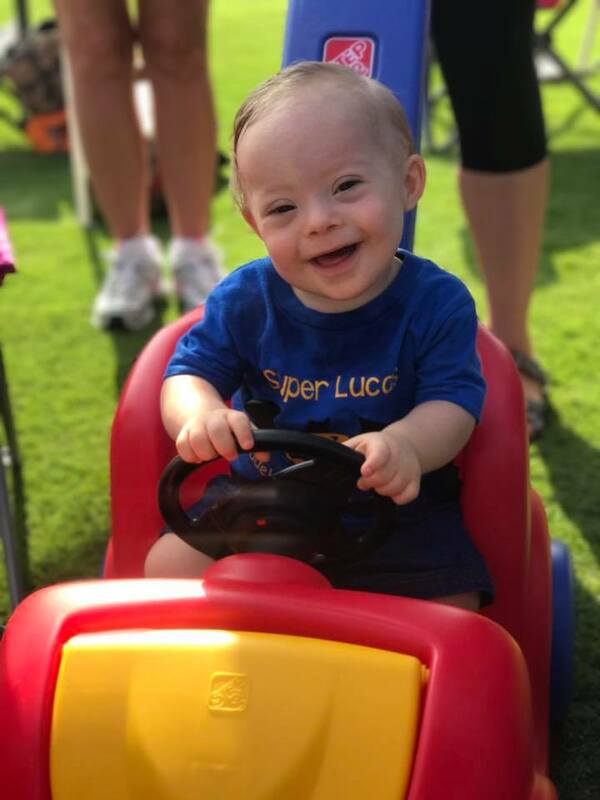 Lucas Warren, 18 months old, made history this month when he became the first tot with disabilities to be chosen as the Gerber Baby. Since the company was founded in 1928, parents have been sending in photos of their cutie-pies. Eight years ago, Gerber began an official photo contest for a "Spokesbaby." 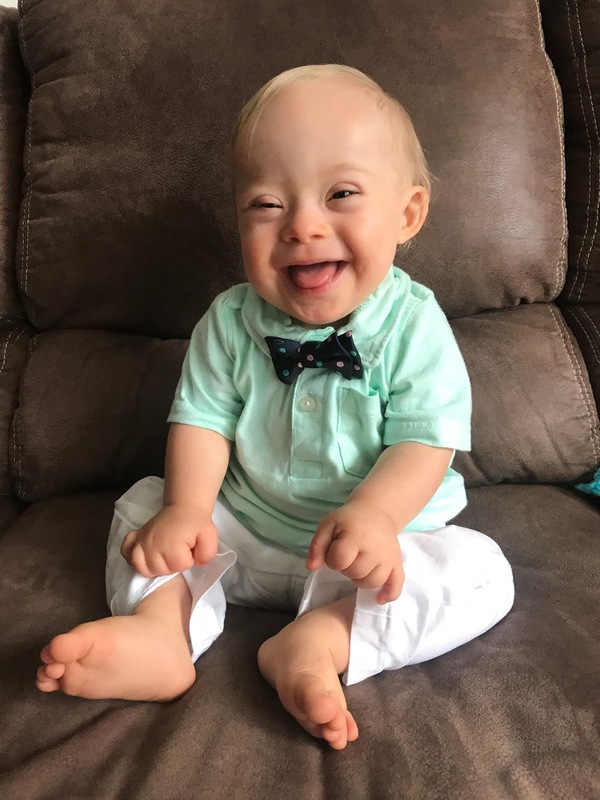 Lucas's mom, Cortney, posted this photo of him in a bow-tie on Instagram with the contest tag; Lucas proceeded to beat out some 140,000 other tots for the honor. Even ten years ago, a Gerber baby with Down syndrome might not have happened. But more people understand that children with Down syndrome and disabilities are children first, with a smile as winning as any. Gerber's choice will help further spread that message. 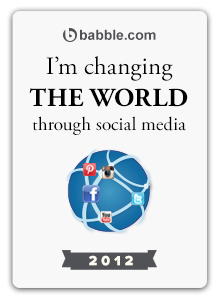 "The world is changing," one young woman I know commented on Facebook. Yes, it is. For decades now, companies have understood that it's important to have children and adults of different races serving as the faces of their company and, more recently, people with a variety of gender identities. 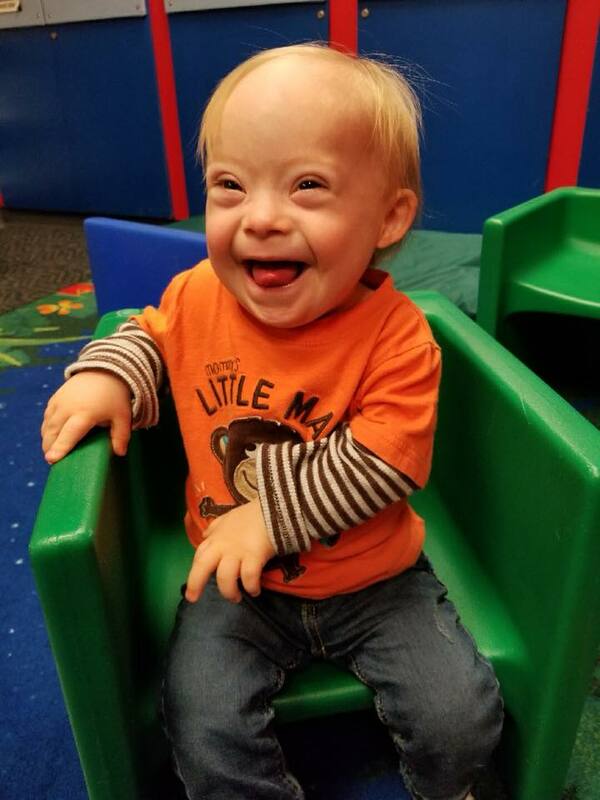 In recent history, Target, Nordstrom's and other big stores have included children with Down syndrome in their ads. And now Gerber has also acknowledged, in a supremely public way, that diversity includes children with disability; hopefully more companies will follow their lead. Our daughters and sons with Down syndrome, cerebral palsy, autism and other disabilities deserve to be represented in ads, on TV, everywhere—same as their peers. Maybe someday, a baby with Down syndrome winning a cute baby contest will not make worldwide headlines. That'll actually be a good thing because no big fuss would mean it would be no big deal—as in, it would be an ordinary occurrence for tots with disabilities to be as included and celebrated as their peers without DS. Right now, though, the fact that Lucas has Down syndrome and won the contest has appeared in almost every single headline. 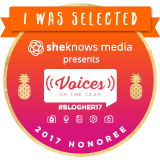 Because yes, this is a Very Big Deal. Beth Ann (beppa_1), mom to a boy with DS, summed it up best in an Instagram comment: "Mommas all over the world are crying happy tears because you have seen what we do." Since forever, the baby on Gerber food jars has been one cherubic-cheeked, cowlicked-haired tot—an iconic cuteness. Their logo likely isn't changing, but little Lucas is showing the masses another kind of perfectly adorable face. Most commenters on social media gushed about how handsome and cute he is—a new icon to adore. Max is still planning to move to Jamaica, a situation I somewhat consider a fail on our part. I've tried my best to reason with him—he loves his school here, Daddy and Mommy have jobs, it costs money to move and get a house. He has answers: There is school in Jamaica; Daddy can work from Jamaica, I can stick it out here with Ben and Sabrina. He dodges the issue of paying for it. Dave, aka Marshmallow Daddy, has been indulging him. Which explains why our calendar says, on Tuesday March 20, "Fireman Max moves!" (Max is kindly waiting to go until after his sister's bat mitzvah in mid-March). This also explains Dave and Max's weekend trips to Home Depot, where Max has been picking out appliances for his new home. So far he's chosen a fridge ("Samsung!" 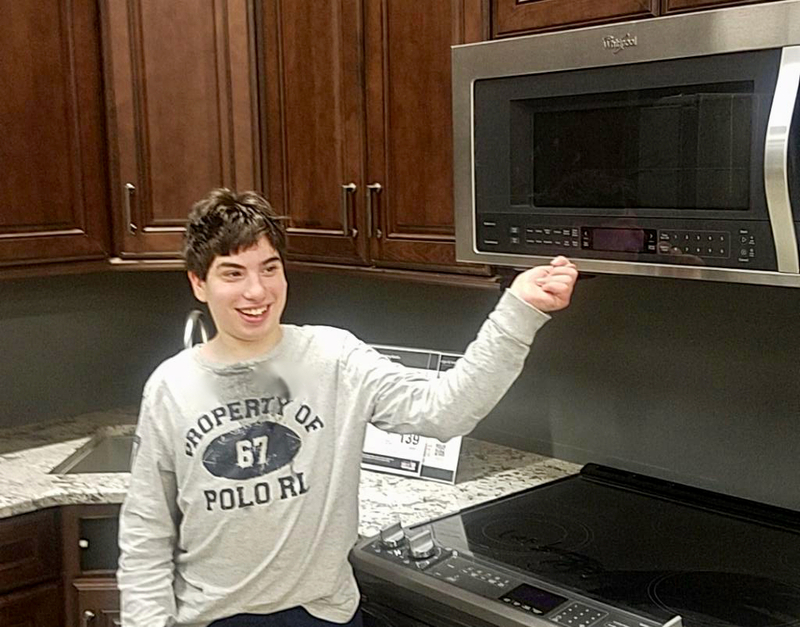 he repeatedly tells me—he loves the new smart model that enables you to order groceries), a microwave, a range, a washer/dryer and a granite countertop. He's also discovered he can browse homedepot.com for such items. When he's getting dressed, he'll note whether or not the clothing will be coming with him to Jamaica. He tells me he's already informed his teachers. He's got this whole thing planned out, in his mind, anyway. "It's disgusting here!" Max says pretty much every time he comes in from outside. I don't disagree, except he's been saying the same thing about our house, too. I think having fantasies are healthy and good; life would be pretty dreary if we had nothing to dream about. But I am pretty sure Max thinks this is real, and that's what concerns me. So this weekend, I roped in backup: his longtime, super-matter-of-fact-practical-pants speech therapist. Things didn't start off so well. "It's disgusting here!" Max announced as she walked into our house on Saturday and took off her boots. She wasn't sure what he'd, said so I translated. "Max, I can't hear that 'd'—try that again, dis-gus-ting," she said, modeling the correct tongue movement. They practiced that again and again. Super. Toward the end of their session, I told her about Max's anticipated move. "I just don't think it can happen," I said, and Max shook his head vehemently. "Max," she said, "you can't move to Jamaic, you don't have a house." "I do!" Max announced, triumphantly, and we opened photo on his iPad of the dream house that he'd chosen. "Max, it cost a lot of money to buy a house," she pointed out. "Your Mommy and Daddy had to spend a lot of money to buy this house. Where are they going to get the money from?" And Max stopped and thought and had nothing to say. Last night, I got home as the music therapist was finishing up Max's session. Max has been trying to get her to compose songs about his new home, Jamaica, and I'd told her we were trying to be realistic. "I had Max write a song about what he loves here," she told me. "And he did it?!" I asked, incredulously. "Well, it was mostly me," she said. But Max wasn't having it: even when she mentioned his favorite fire station he said, "Oh, it's OK."
Some good has come of this fixation: Max is learning to make a case for what he wants. "You and Daddy moved to this house," he recently pointed out when I was telling him he couldn't move. "Yes, but we moved from 20 miles away," I said. "Jamaica is 1500 miles away! And your family wouldn't be near you!" "First home!" he continued. I knew what he meant: This was our first home. He, too, deserved to have a first home. I have a chat coming up this week with his teachers, and I'll be asking them what he's said to them. While I do think he needs to keep it real and we have to help with that (the Home Depot jaunts have got to stop), this is far from the worst problem in the world. Maybe Max will calm down once the weather turns warm. Meanwhile, I'm trying to plan a spring getaway; Max insists he doesn't need to go because he's moving. They won't cause cavities or a sugar high, yet their insides are sweet and satisfying. I'm talking about these 15 great new (and new-ish) books about love, perfect for a Valentine's Day gift or anytime gift. They're filled with messages about making connections, adoring others and being adored and embracing people (and monsters) of all kinds. While they're geared toward non-readers and emerging readers, they're delicious for children of all ages—and their adults. 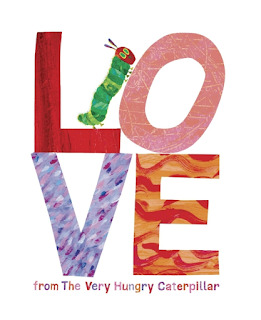 Having breakfast with your family in a sky-blue kitchen, watching fireworks in a purple sky on a rooftop with friends: we experience love in diverse ways, as this book explores in glorious color. Love can be fun (a police officer plays with kids enjoying a park's sprinklers). Love can be tender (a grandpa fishes with his grandson). Yet it can also be scary(a child cowers beneath the piano as parents fight). With evocative illustrations, this meditation brings love's many meanings to light and its powerful effects on us all. This new bestseller is one you'll want to read again and again. 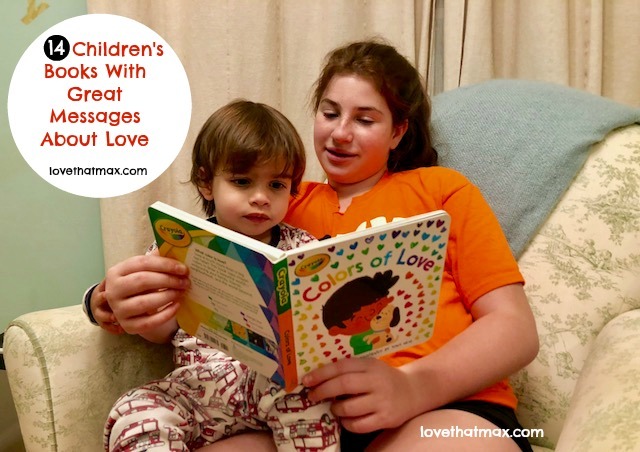 This is an important addition to any child's library, because it's about the greatest love of all (cue Whitney Houston): learning to love yourself, and what makes you unique. 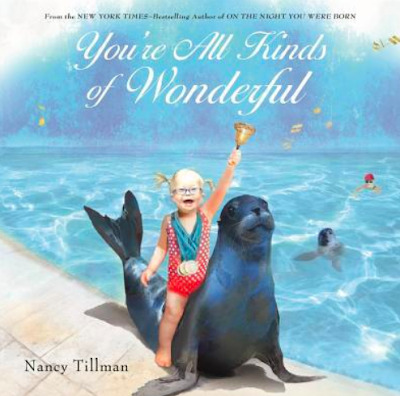 From the author of "On The Night You Were Born," this keeper celebrates different abilities, interests and personalities, with beautiful drawings in chalk, watercolor and pencil. The opening words set the tone: "We're not all the same. Thank goodness, we're not. Life would be boring, and I mean—a lot. And so, when we're born, we're supplied at the start, with our own bells and whistles to set us apart." 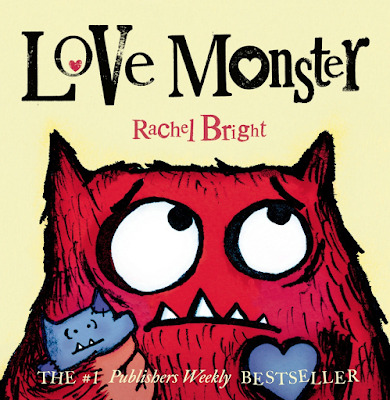 Poor googly-eyed, sharp-toothed monster doesn't fit in with his cuddly peers, so he leaves Cutesville to find the love of his life (wisely bypassing Tinder). It's hard out there and he gives up, except as he's about to head home something amazing happens. 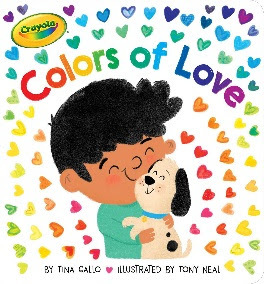 This book has lively illustrations and meaningful messages: being different is OK and everyone deserves to be loved. Amen! 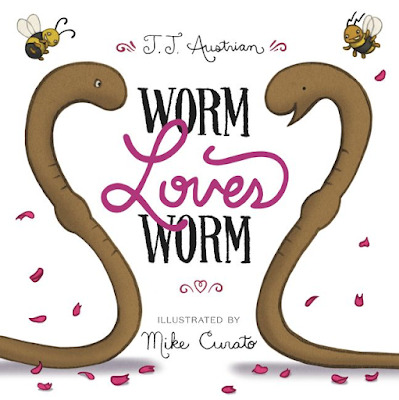 When two worms fall for each other and decide to wed, their friends go all out with the wedding plans. But, they tell the couple, there can only be one groom and one bride. What's a pair of forward-thinking invertebrates to do? This seemingly silly book has a happy ending that reinforces all you need is love, and a wedding planner. OK, not the wedding planner. 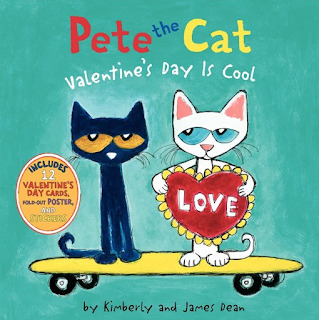 Everyone's favorite serial feline is skeptical about Valentine's Day, until he realizes all the cool cats there are in his life and decides to make cards for them. Thing is, he forgets one particularly special one. The book comes with 12 cards, stickers and a pull-out poster. Little dude walks around hugging like it's his job, everything from a fire hydrant to a whale, fueled by pizza slices. 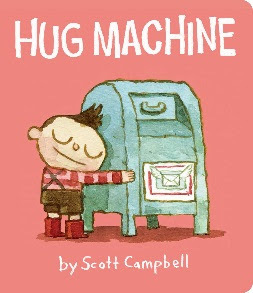 "No one escapes the Hug Machine!" he declares. But then, he discovers that as great as it is to give, there's nothing better than receiving from... ah, no spoiler alert here! 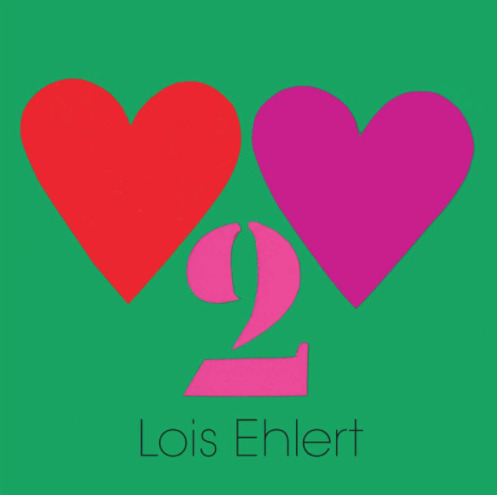 This author is a favorite in our home—her whimsical, playful books are fun to flip through. Her latest one is similarly irresistible, with rhymes centered around various foods like picture puzzles: "I'm [cherry] when I cu / [olive] u, n it shows / My [heart] starts [pumpkin] / from my head down [tomatoes]." If you don't appreciate puns, this book just might make you a convert. Or not. Usually, the witch, the mummy and other members of The Fright Club scare people. But on this night, Fran K. Stein is making—wait, what?—a valentine! Even more terrifying: when two people love each other, the crew learns, they kiss on the lips. "EEEWWW!" they declare. 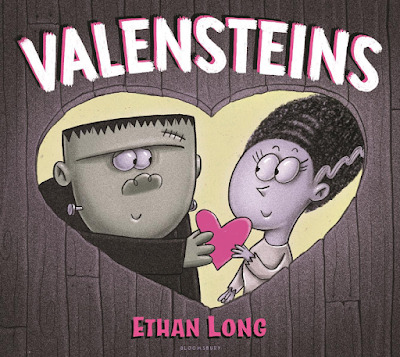 Next thing you know, Fran K. is crushing on a girl who resembles Bride of Frankstein and he gives her the valentine. 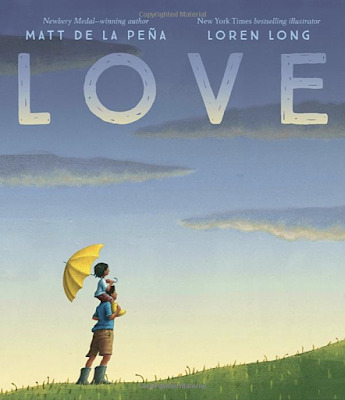 This book hilariously plays off kids stereotypes about love. Little Duck is throwing a Valentine's party in a barn she's decorated; when guests come in, she hands each a handmade heart. A little fox, hearing the music, decides to crash. Panic ensues—a fox! At a farm! Then Little Duck hands him a heart and...swoon. The latest edition in this popular series has a nice take on not judging others by their appearances. Vivid illustrations from the original beloved children's book come together in a celebration of love: "You are the apple of my eye; you make the sun shine brighter; you make my heart flutter." It's simple and cute; there's no story here, just sweet sentiments. 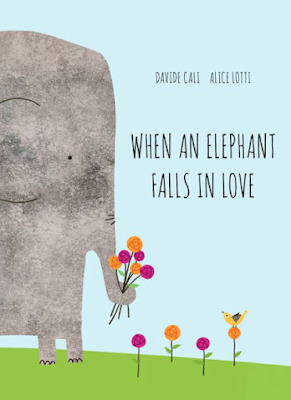 Elephants in love do the goofiest things: they hide behind a tree (not very effectively) when the object of their affection is nearby, stare aimlessly into the clouds, try to eat well but polish off the cheesecake. Sound familiar? 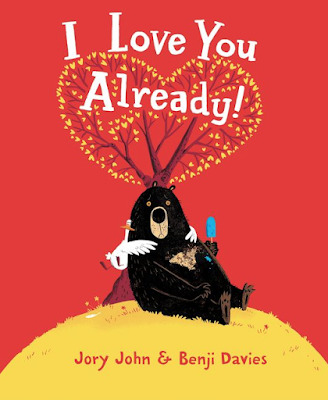 This adorable book lets little ones in on what it's like to crush on someone—and shows that love is worth waiting for. 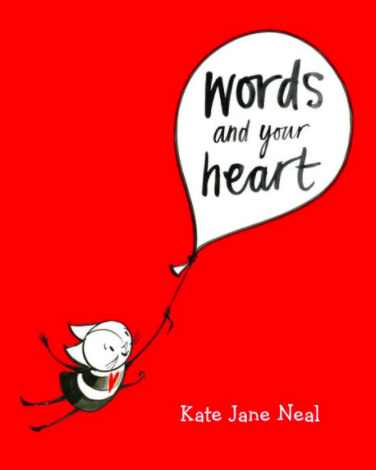 OK, technically this book isn't about love but about how words affect our hearts. They can inspire and cheer others up, but they can also hurt. The simple message—using words to look after each others' hearts—is easy for kids young and old to understand, and a great conversation starter. Bear just wants to chill at home, except his neighbor, Duck, hauls him out then proceeds to pepper him with questions. Concerned by Bear's terse responses, Duck just isn't sure he's liked, to which Bear repeatedly insists "I love you already!" The truth comes to the test when Duck gets into a situation, and Bear is there for him. Aww. Recently, a doctor who cares for children with life-limiting illnesses asked some what they've enjoyed in life and what gave it meaning. He then posted a string of responses from the kids, ages four and nine, on Twitter. 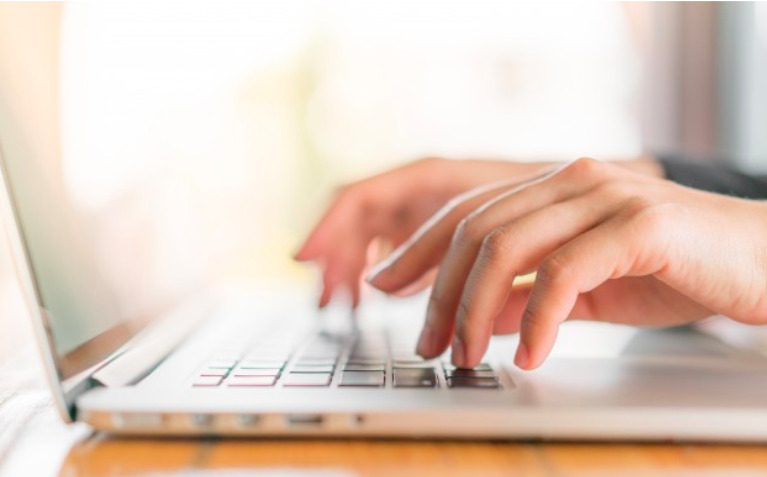 As Dr. Alastair McAlpine, a pediatrician who works for the nonprofit PaedsPal, noted, "NONE said they wished they'd watched more TV, NONE said they should've spent more time on Facebook." 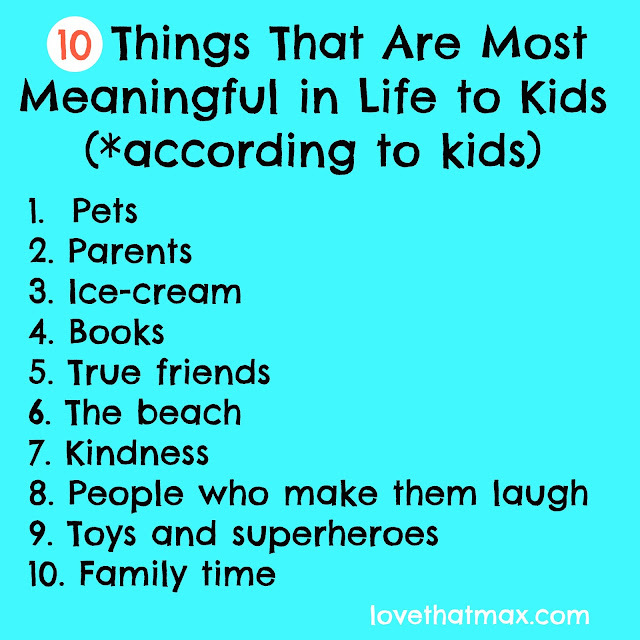 Their answers are a reminder to us all of the simple stuff that matters most to our children. So the next time you're worried that you're not doing enough activities with your kids or taking them on enough trips or buying them enough of this or that or yada yada concern, refer to this heartfelt list. "I love Rufus, his funny bark makes me laugh." "I love when Ginny snuggles up to me at night and purrs." "I was happiest riding Jake on the beach." "Dad mustn't worry. He'll see me again soon." "Hope mum will be ok. She seems sad." "God will take care of my mum and dad when I'm gone." "ALL of them loved ice-cream," reported Dr. McAlpine. "Harry Potter made me feel brave." "I love stories in space!" "I want to be a great detective like Sherlock Holmes when I'm better!" "My real friends didn't care when my hair fell out." "Mane came to visit after the surgery and didn't even notice the scar!" "Being in the sea with the waves was so exciting! My eyes didn't even hurt!" "My granny is so kind to me. She always makes me smile." "Johnny gave me his half sandwich when I didn't eat mine. That was nice." "I like it when that kind nurse is here. She's gentle. And it hurts less." "That magician is so silly! His pants fell down and I couldn't stop laughing!" "My daddy pulls funny faces which I just love!" "The boy in the next bed farted! Hahaha!" "My Princess Sophia doll is my favourite!" "I like cuddling my teddy." "Mum and dad are the best!" "My sister always hugs me tight!" "No one loves me like mummy loves me!" Dr. McAlpine's final take-home message: "Be kind. Read more books. Spend time with your family. Crack jokes. Go to the beach. Hug your dog. Tell that special person you love them. These are the things these kids wished they couldn't done more. The rest is details. Oh... and eat ice-cream." morning, is if they haven't done this _______ [high number] times before! ignoring my own needs and barely finding time to _______ [synonym for "pee"]. and constantly clear the _______ [bad word] crumbs beneath the kitchen table.